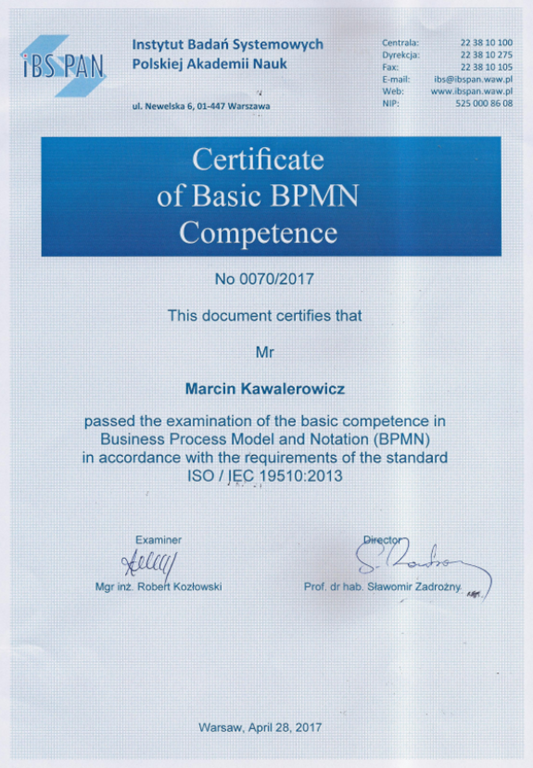 On April 28th 2017 I’ve passed the Polish state examination of the basic competence in Business Process Model and Noatation (BPMN). The exam is carried out by the System Research Institute at the Polish Academy of Sciences. 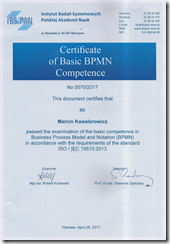 It is an exam in accordance with the requirements of the standard ISO / IEC 19510:2013. My certificate number is 0070/2017 and can be looked up at the System Research Institute web page.